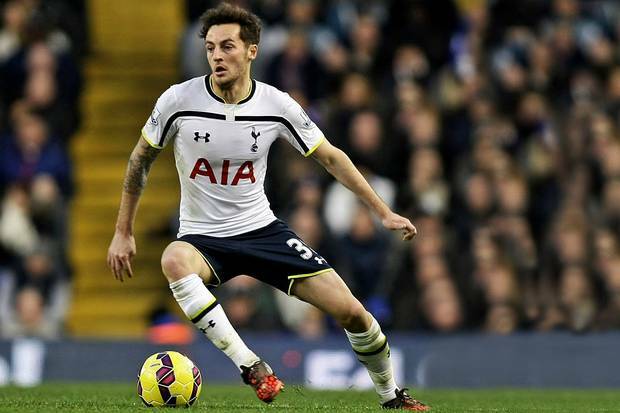 Tottenham midfielder Ryan Mason has signed a new five-and-a-half-year deal with the club. The contract will keep the home-grown academy graduate player at White Hart Lane until 2020. Mason, 23, has made 18 appearances for Spurs this season following loan spells with Swindon Town, Millwall, Doncaster and Yeovil. The Enfield-born academy graduate, a boyhood fan of the club who always wanted to play for his favorite team, said : "I'm buzzing about it. I'm delighted and I can't wait to crack on now. “I appreciate the length of the contract shows a lot of faith in me and hopefully I can keep progressing and stay at the club longer than the contract. I've worked hard, a lot of work over the years has gone into what has happened this season and this time I've a manager who has faith in me and stuck me in.It's been a long road but I'm delighted to be in the side and hopefully I'll stay in there as long as I possibly can." In a statement confirming the deal, the club said: "Our home-grown midfielder netted his first senior goal for us in the League Cup against Nottingham Forest in September and hasn't looked back since.No less than three days later he was making his Premier League debut at Arsenal and has gone on to establish himself as an important member of our First Team, making 18 appearances so far this season." A product of the Spurs academy, the 23-year-old midfielder made his debut for the club in November 2008 as a late substitute at NEC Nijmegen in the UEFA Cup. Mason spent time on loan at five other clubs before belatedly making his first league appearance for Spurs nigh on six years after his debut, but is now a key player for Mauricio Pochettino. The midfielder is one of several academy graduates in the Spurs first team right now, along with Harry Kane, Andros Townsend and Nabil Bentaleb. Mauricio Pochettino has always been know to rely more on young players, thus Mason has got considerable game time. The young academy garduates have repayed the faith the Spurs boss has shown in them with impressive performances. It is clear that White Hart Lane has not stopped producing talent. However the young midfielder hasn't produced much so far. In the 18 appearances for Tottenham in all competitions so far this season he has managed one goal and two assists. He has clocked 561 successful passes in the 15 pemier league appearances this seaon, mediocore for a young midfielder who is expected to be itching to get the ball and dictate play. Despite failing to show such hunger, Mason has a fairly successful passing accuracy of 81% and a shooting accuracy of 68%. He has teamed up well with Nabil Bentaleb. But what is of concern is his fitness. He has managed to remain largely fit so far this season but hurt his ankle recently. Before this season he was always found struggling to cope with the fitness demands of even the lower leagues of England, where his displays weren't exactly spectacular. I fancy Paulinho or Moussa Dembele more than him but something about Ryan Mason has kept the two away the first team. His battle with them shall continue for the rest of the season and it will be interesting to see as to who becomes the favorite of the Spurs manager with Mason evidently leading the race right now. It's good that Tottenham have extended his contract. But in my view the contract length should have been shorter. Mason isn't a player wanted by many. He isn't what you call a midfield gem or a maestro. Also he is inconsistent. As for the Tottenham manager and the club's fans, they can only hope the that Ryan Mason continues to play well and repays the faith the manager, the club and the fans have shown in him.